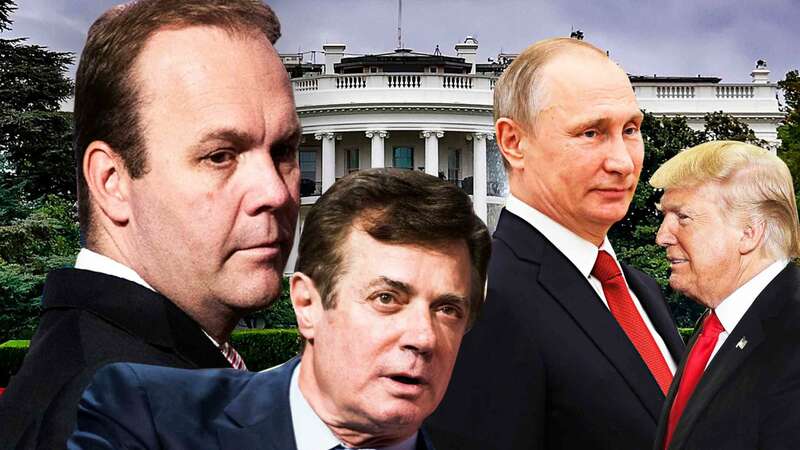 In an indictment unsealed Monday morning, Donald Trump’s former campaign chairman Paul Manafort and his partner Rick Gates were hit with 12 counts alleging a wide-ranging money laundering conspiracy and multiple violations of the Foreign Agents Registration Act (FARA). The charges focus not on collusion between Trump’s presidential campaign and the Russian government but on Manafort’s own alleged money laundering activities, which the indictment says personally netted him $18 million and Gates $3 million. According to the indictment, the money in question came from under-the-table lobbying activities on behalf of Ukraine’s Party of Regions, the party of former president Victor Yanukovych. The two men held offshore accounts that allegedly handled more than $75 million over the nine years covered by the charges. Manafort and Gates were each indicted on one count of conspiracy against the U.S., one count of conspiracy to launder money, one count of acting as an unregistered agent of a foreign principal, one count of making a false and misleading FARA statement and a separate count of making a false statement. Manafort was also indicted on four counts of failure to file reports of foreign bank and financial accounts, while Gates was indicted on three counts of the same. The indictment charges that Manafort “represented falsely that he did not have authority over any foreign bank accounts,” and, in a complicated tax dodge, Manafort “laundered the money through scores of United States and foreign corporations, partnerships and bank accounts,” depriving the U.S. of tax revenue, according to the indictment. It also alleges that Manafort, who was not registered as a foreign agent, took steps to “develop a false and misleading cover story” that would conceal his work for the Party of Regions in order to distance himself from the Government of Ukraine. Manafort left the campaign in August, but his business partner, Gates, never fully left Trumpworld . . .
"Sorry, but this is years ago, before Paul Manafort was part of the Trump campaign. 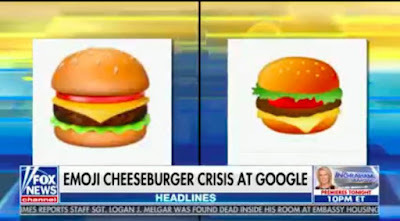 But why aren't Crooked Hillary & the Dems the focus????? . 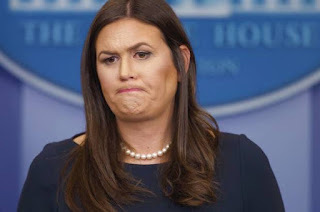 . . Also, there is NO COLLUSION!" Trump is right, of course, that if the worst that comes out of the Russia investigation is that his campaign chair was an international financial criminal he personally would end up looking relatively unscathed. Why, exactly, a president who promised to “hire the best people” in fact hired a notorious crook is a good question. But, of course, one could ask the same about disgraced now-former HHS Secretary Tom Price and any number of other Trump hires. His problem is that special counsel Robert Mueller didn’t say he was closing his investigation with these charges. He just decided, for whatever tactical or strategic reason, that now was the time to bring them. It’s possible no other wrongdoing on the part of anyone else will come to light. But it seems more likely that there will be additional charges filed against additional people, and possibly even knew Manafort charges. She added that Trump had hired Manafort in 2016, "to handle the delegate process" during the Republican National Convention, "and he was dismissed not too long after that." 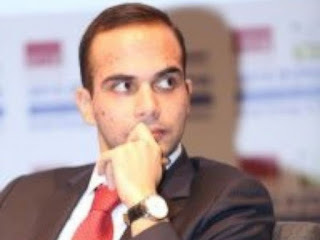 George Papadopolous, another of those first five campaign advisors announced in March 2016 (Carter Page was another), pleaded guilty on Oct. 5, 2017, to making false statements to FBI. . . . Remember, days after being appointed, Papadopolous went to work trying to set up meetings between the Trump campaign and “Russian Leadership – Including Putin.” . . . The Manafort/Gates charges are very serious as crimes and bring heavy punishments. They’re a big deal. But they do not connect directly to the campaign’s ties with Russia or even the campaign itself. . . . The Papadopolous plea is quite different. It shows a Trump foreign policy advisor in active communication with what appear to be Russian government officials or spies trying to get dirt on Hillary Clinton, arrange meetings with Russian government officials (even Vladimir Putin, rather ludicrously) and solicit Russian support. That an active foreign policy advisor was taking these actions while in active communication with the campaign about those actions is quite damning. . . . Papadopolous was arrested in July and has apparently been cooperating since. . . . It sends two clear messages. First, we’re not at all done with collusion and we’re making progress. Second, we arrested Papadopolous in July and he pled out in October and no one knew. So don’t think you have any idea what we have. Papadopoulos is also alleged to have coordinated with a “Female Russian National,” described in the emails as Putin’s niece, in order to set up a meeting between the Trump campaign and the Russian government. The Russian female said that she’d be “very pleased to support initiatives between our two countries,” and the emails continued during the majority of the presidential campaign. Papadopoulos was also encouraged by an unnamed senior campaign adviser to make an “off the record” trip to Russia to meet with his contacts in person. The meeting never transpired. Crucially, the indictment also read that evidence for the current charges does not “constitute all of the facts known to the parties concerning the charged offense.” This would suggest that, as Mueller and his team dig deeper, more charges could be filed. 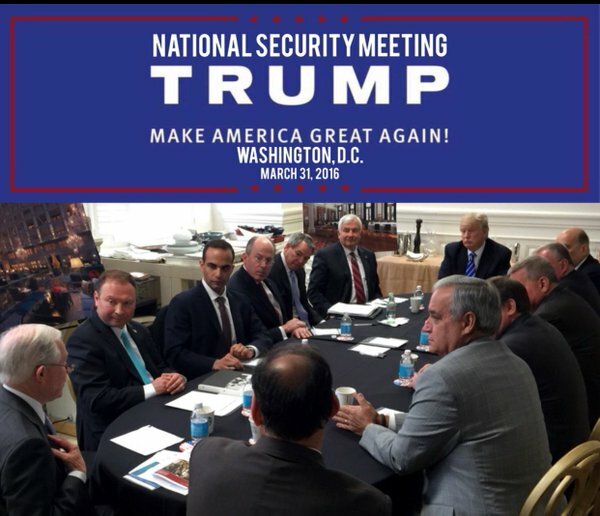 Who on the Trump campaign corresponded with Papadopoulos regarding his efforts to pursue meetings with Kremlin-linked Russians? . . . According to the court documents, Papadopoulos emailed someone referred to as “another high-ranking Campaign official” in May 2016 with the subject line “Request from Russia to meet Mr. Trump.” and said: “Russia has been eager to meet Mr. Trump for quite sometime and have been reaching out to me to discuss.” footnote on that paragraph notes that “the official forwarded defendant PAPADOPOULOS’s email to another campaign official,” without Papadopoulos included, stating: “Let[‘]s discuss. We need someone to communicate that DT is not doing these trips. It should be someone low level in the campaign so as not to send any signal.” In August, the Washington Post published the same email mentioned in the court document: “the high-ranking Campaign official” is Paul Manafort, according to the Post’s report, and “another campaign official” is his longtime deputy and business partner, Rick Gates. . . . Another mysterious unnamed figure in the court documents: one unnamed “Campaign Supervisor” who told Papadopoulos in August 2016 that “I would encourage you” to meet with the Russian officials. According to Yahoo News’ campaign source, the “Campaign Supervisor” is Sam Clovis, the non-scientist currently nominated by the Trump administration to be the USDA’s chief scientist. The key fact in the Papadopoulos guilty plea involves his admission that he had communications with an unnamed Russian professor who told him in April of 2016 that the Russian government possessed "dirt" on Democratic candidate Hillary Clinton in the form of "thousands of emails." The document does not disclose as to whether the professor told him these messages were stolen from email accounts owned by the Democratic National Committee or Clinton's presidential campaign. . . . While Papadopoulos was unable to arrange a meeting to discuss the "thousands of emails" between senior Trump officials and Russian representatives, Trump Jr. and Manafort did attend a meeting with Veselnitskaya on the promise that she would provide him with documents that would "incriminate Hillary and her dealings with Russia." Two other Trump advisers were known to have communicated with people involved in disseminating the stolen emails. Roger Stone, Trump's long-time adviser and a close friend of Manafort's, has called the hackers "heroes" . . . Stone has also acknowledged communicating with the Twitter account "Guccifer 2.0" which is believed to be the creation of Russian hackers. On Friday, the Wall Street Journal reported that David Nix, the CEO of a data analysis firm which the Trump campaign used, had reached out to WikiLeaks founder Julian Assange about trying to organize hacked messages from Democratic email accounts. . . .
Just a few days before Inauguration Day, for example, CBS’s John Dickerson asked Mike Pence, “Did any adviser or anybody in the Trump campaign have any contact with the Russians who were trying to meddle in the election?” The vice president-elect responded at the time, “Of course not.” This wasn’t an isolated incident. As we discussed in February, when reports first surfaced that Russia was in talks with Team Trump during Russia’s election crimes, the response from the Republican camp was categorical: those communications simply did not happen. Even after Russian Deputy Foreign Minister Sergei Ryabkov acknowledged that “there were contacts” between the Russian government and Trump’s campaign team ahead of Nov. 8, Team Trump kept insisting otherwise. Indeed, Trump and his aides left no wiggle room on the subject. Kellyanne Conway, asked about the possibility of these communications between the Republican campaign and Russians, said, “Absolutely not.” She added the conversations “never happened” and any suggestions to the contrary “undermine our democracy.” At a pre-inaugural press conference, Donald Trump himself said no one from his team was in contact with Russians during the campaign. During his tenure, White House Press Secretary Sean Spicer also denied the communications. Each of these denials came long before we learned that Donald Trump Jr., Jared Kushner, and Paul Manafort had a chat with a Kremlin-linked lawyer during the campaign, and before we learned about George Papadopoulos’ efforts. . . .
TRUMP: Well, I hadn’t thought of doing it, but if you want I can give you some of the names… Walid Phares, who you probably know, PhD, adviser to the House of Representatives caucus, and counter-terrorism expert; Carter Page, PhD; George Papadopoulos, he’s an energy and oil consultant, excellent guy . . .
A Trump adviser was told that the Russians had “thousands of emails” with “dirt” on Clinton. Whom did he tell about it? Here’s a tweet from President Trump with an image from that meeting. You’ll see President Trump is there. Now-Attorney General Jeff Sessions is there. Papadopolous is the second man in a clock-wise direction from Sessions in the lower left. With Trump and Sessions there, according to the plea, Papadopolous told the group “he had connections that could help arrange a meeting between then-candidate Trump and President Putin.” That’s not against the law in itself. It is bizarre to think that a presidential candidate would travel abroad to meet with the President of Russia during a campaign. But there’s no law against it. This is a key fact because Papadopolous seems to have given a little speech about what he was up to and what he could do in a small meeting with Trump and Sessions themselves. This happened one week after Papadopolous had met in London with as yet unnamed people who he knew had close ties with the Russian government. This is very significant. The hot gossip about the indictments issued today is this: Was George Papadopoulos wearing a wire? The bad news is this guilty plea, for false statements, by campaign advisor George Papadopoulos, signed on October 5, but only unsealed today. That plea makes it clear that 1) the campaign had, as an explicit goal, making friends with Russia 2) a month and a half before the June 9 Trump Tower meeting, Russian handlers dangled the stolen Hillary emails 3) Papadopoulos has cooperated beyond what has been laid out in the guilty plea. . . . Here is what we now know: The Trump campaign was filled with operatives connected in shady ways to the Russian government. It included individuals who knew that the Russians had obtained Clinton-related emails and who lied about that knowledge to federal investigators. Top campaign officials (and Trump family members) dropped everything to meet with Russian operatives when they believed there was useful opposition research on offer. Trump publicly asked Russia to hack into Clinton’s computers to find and release her missing emails. We also know the Russians really did hack into John Podesta’s and the DNC’s email accounts and found and released emails that damaged Clinton. They really did conduct social media operations designed help Trump. Both their targets and their timing were extremely sophisticated for a foreign government that has traditionally shown itself to have a poor understanding of American politics. After winning the White House, Trump attacked the CIA and fired the director of the FBI in an effort to discredit or end their investigations into Russia’s role in the election. At this point, it would be a truly remarkable coincidence if two entities that had so many ties to each other, that had so much information about what the other was doing, and that were working so hard toward the same goal never found a way to coordinate. Trump has become increasingly concerned that the Mueller probe could be moving beyond Russia to an investigation into his personal dealings, two people familiar with the president’s thinking said. Trump expressed irritation Monday morning that he was being tarnished by his former aides. In the hours after the indictment, the president angrily told one confidant that Manafort had been a campaign “part-timer” who had only helped steer the convention and got too much credit for Trump’s ability to hold onto the nomination, according to a person familiar with the private discussion. Those describing Trump’s thinking or private discussions were not authorized to speak publicly about them and requested anonymity. Separated from most of his West Wing staff — who fretted over why he was late getting to the Oval Office — Trump clicked on the television and spent the morning playing fuming media critic, legal analyst and crisis communications strategist, according to several people close to him. The president digested the news of the first indictments in special counsel Robert S. Mueller III’s probe with exasperation and disgust, these people said. He called his lawyers repeatedly. He listened intently to cable news commentary. And, with rising irritation, he watched live footage of his onetime campaign adviser and confidant, Paul Manafort, turning himself in to the FBI. Initially, Trump felt vindicated. . . . But the president’s celebration was short-lived. A few minutes later, court documents were unsealed showing that George Papadopoulos, an unpaid foreign policy adviser on Trump’s campaign, pleaded guilty to making a false statement to the FBI about his efforts to broker a relationship between Trump and Russian President Vladimir Putin. The case provides the clearest evidence yet of links between Trump’s campaign and Russian officials. . . . Trump’s anger Monday was visible to those who interacted with him, and the mood in the corridors of the White House was one of weariness and fear of the unknown. As the president groused upstairs, many staffers — some of whom have hired lawyers to help them navigate Mueller’s investigation — privately speculated about where the special counsel might turn next. “The walls are closing in,” said one senior Republican in close contact with top staffers who spoke on the condition of anonymity to speak candidly. “Everyone is freaking out.” Trump is also increasingly agitated by the expansion of Mueller’s probe into financial issues beyond the 2016 campaign and about the potential damage to him and his family. The charges against George Papadopoulos suggest bigger names are on the way. [Matthew Miller] Mueller’s choreographed one-two punch today sends a signal to every Trump official: cooperate & get a good deal or resist & get hammered. [Steve Reilly] U.S. District Court for D.C. has four sealed cases in its docket with case numbers between Papadopoulos' (182) and Manafort's (201). [Sarah L Smith] Let’s not be shocked to learn Flynn, Sr is under a sealed indictment/plea, as well, and that he has been a cooperating witness for months. Will Trump fire Mueller? Will he pardon Manafort et al.? Why Republicans should send a signal, now, about firing Mueller. The FBI is investigating Whitefish Energy Holdings’ now-canceled contract with the Puerto Rico Electric Power Authority (PREPA), the Wall Street Journal reported Monday. The FBI’s San Juan field office is “looking into circumstances surrounding the deal,” the Journal reported, citing three unnamed people familiar with the matter. Whitefish’s contract was canceled Sunday amid increasing scrutiny of the contract’s extremely generous terms, its restriction against government auditing of its “cost and profit elements” and the lack of approval by the Federal Emergency Management Agency, despite the contract stating that FEMA needed to sign off on the deal. A new Gallup poll finds President Trump’s approval rate has sunk to a new all-time low of 33% to 62%. Is Trump’s Base Beginning to Fray? Trump’s Approval Ratings: How Low Can They Go? ***If you enjoy PBD and support what we are doing, you can help by forwarding a copy of this issue to your friends (using the envelope link below) or by sharing its URL (http://pbd.blogspot.com) with others via email or social media. Thanks for helping to spread the word! "WHAT WE'RE DEALING WITH HERE"